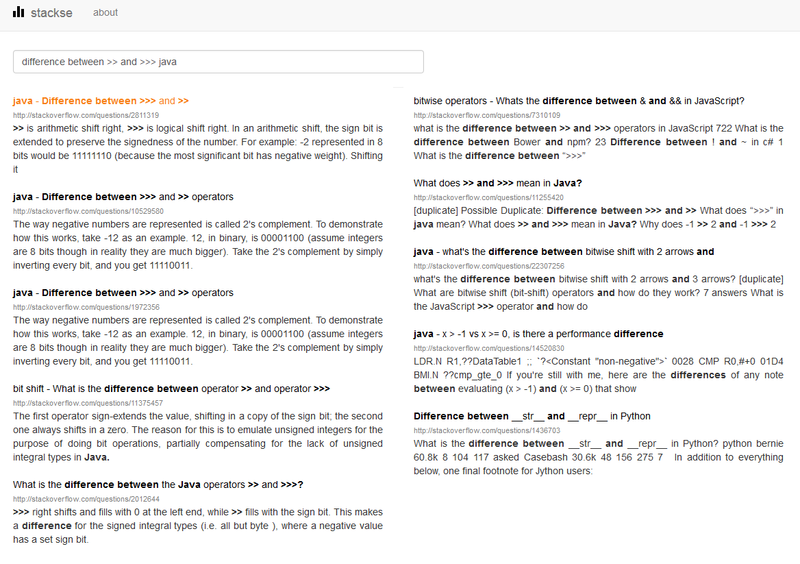 Stackse (Stack Overflow search engine) is search engine for Stack Overflow, Super User, Server Fault and some other sites, that allows searching with special characters. The goal was to build a small search engine from scratch as challenging hobby project. Hope this will be useful. This google group should be used for feedback. C#, leveldb on Windows. Closed-source.